Grand Theft Auto V seems like it’s quietly on its way to becoming the next Skyrim. Not because Rockstar is going to transplant it from Los Santos to the frozen north of Tamriel, but because GTA V’s sheer longevity seems set to rival Bethesda’s fantasy offering. Years after its release, the game has surged in popularity on Twitch, thanks to a new roleplaying mod. GTA RP is a relatively simple mod, and bears a striking similarity to Skyrim’s Alternate Start mods, allowing you to join the game not as part of Franklin, Trevor, or Michael, but as a nondescript NPC. The mod – and specific servers – are proving popular, particularly among streamers, who helped GTA V rocket towards the top of Twitch last week. The game never does particularly badly on the streaming platform, but the attention of massive streamers like Lirik, Summit1G, and TimTheTatman made it one of the most-watched games of the week earlier this month. In fact, according to Twitch analytics site SullyGnome (via Dot Esports) it was beaten only by the streaming stalwarts of League of Legends and Fortnite. 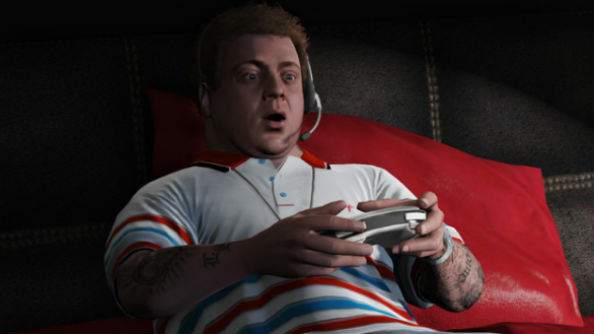 Viewers watched 17.7 million hours of GTA roleplay last week, and while that’s a little way behind LoL and Fortnite (which racked up 25.4 and 22.9 million hours respectively), it’s also well clear of its closest rivals. ‘Just Chatting’ secured 13.2 million hours of watch time, while Dota 2 and Apex Legends lagged even further behind. As well as the wider appeal of roleplaying, which has a rich tradition within GTA V, GTA RP comes with an added benefit, as streamers have been meeting up with one another in-game. Sadly, however, that won’t be something everyone can do, as getting access to the exclusive NoPixel servers that Twitch’s biggest names are playing on requires you to fill out an application form. Even if you’re whitelisted, you’ll need a spot to open on what I imagine is a very popular server before you can make your way in, which means you’re unlikely to be rubbing shoulders with the stars particularly soon.